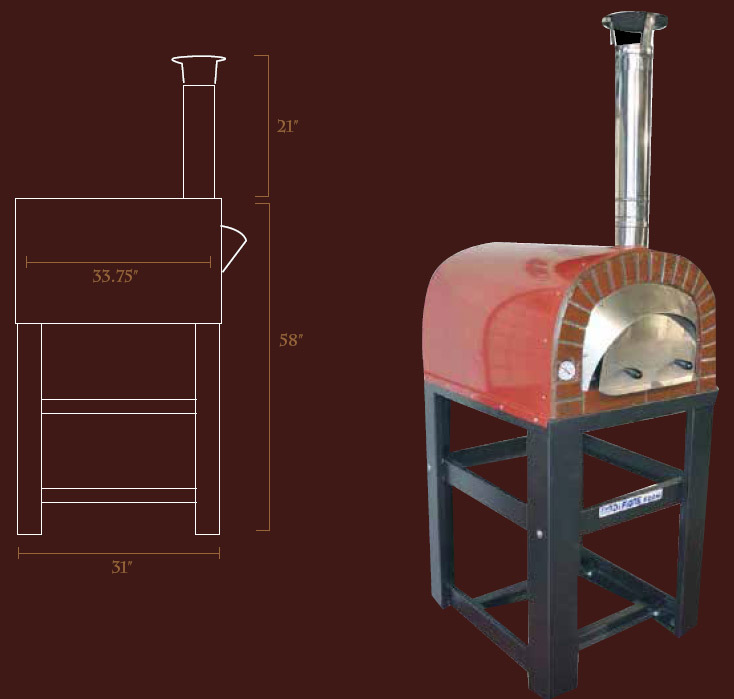 This unit is smaller and lighter while maintaining the same features / characteristics as a traditional oven. 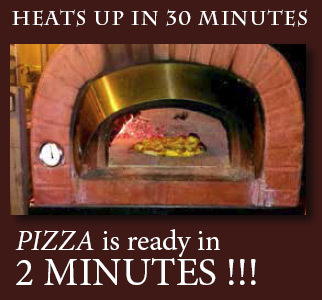 It quickley reaches cooking temperature so that the first pizza can be cooked in 30 minutes. 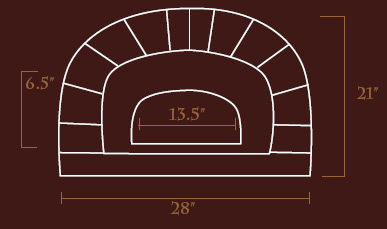 The oven dome is made in prefabricated refractory material (firebrick) thus allowing bread braking and roasts. The frame and metal surround are galvanized, making it suitable for cooking outdoors. Cooking surface = 20 x 24in.